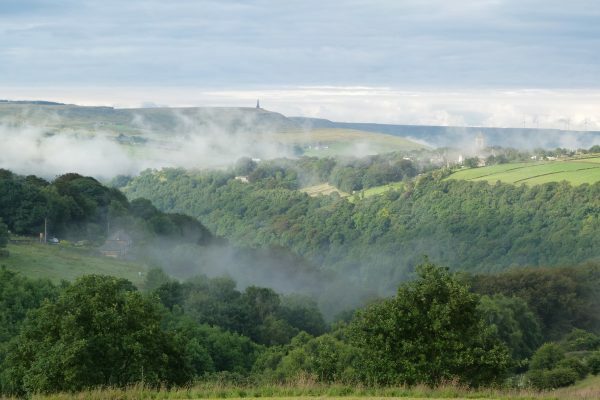 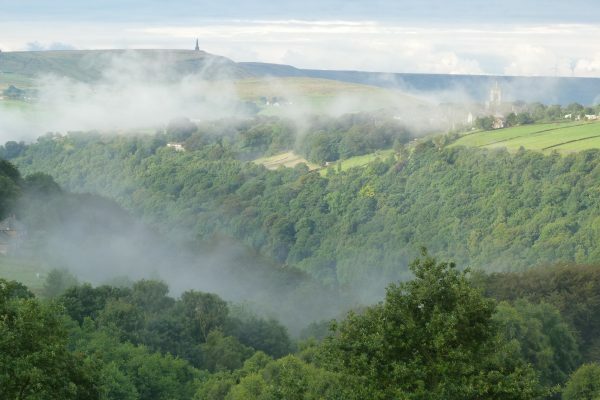 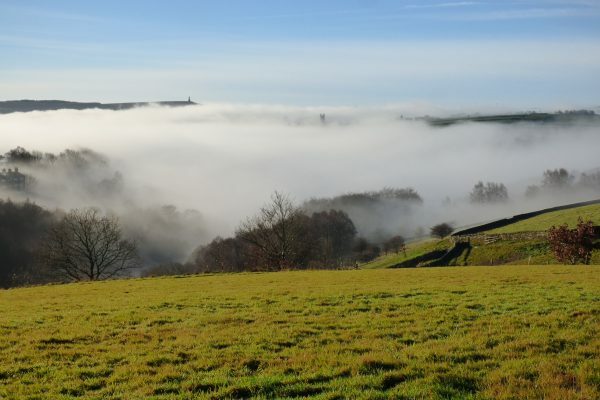 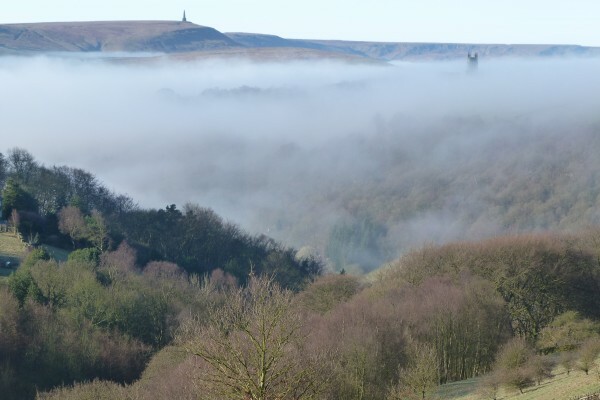 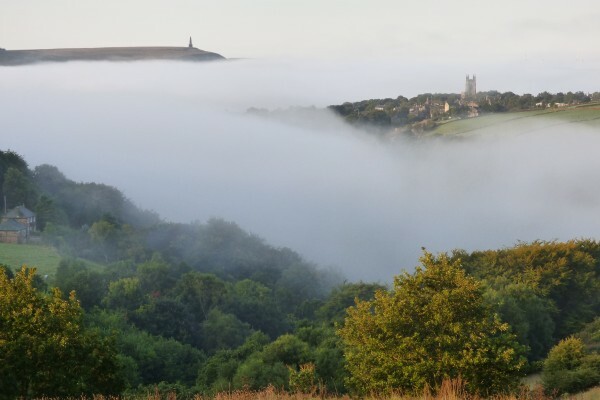 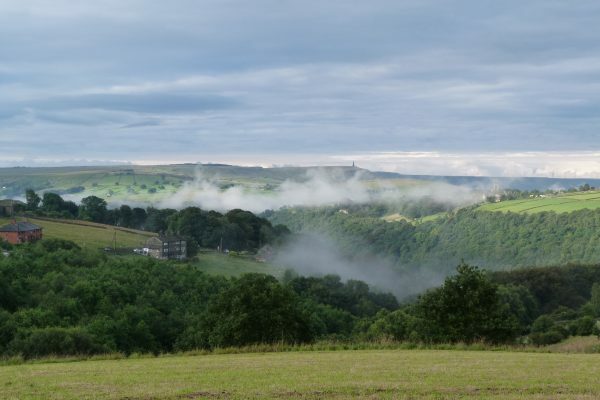 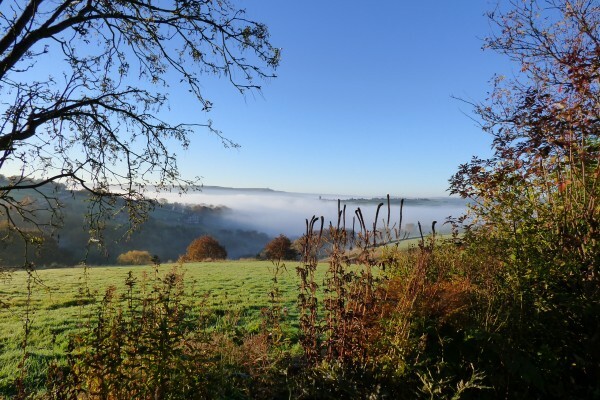 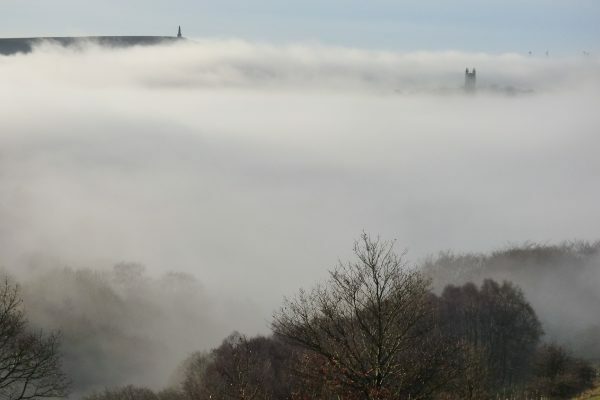 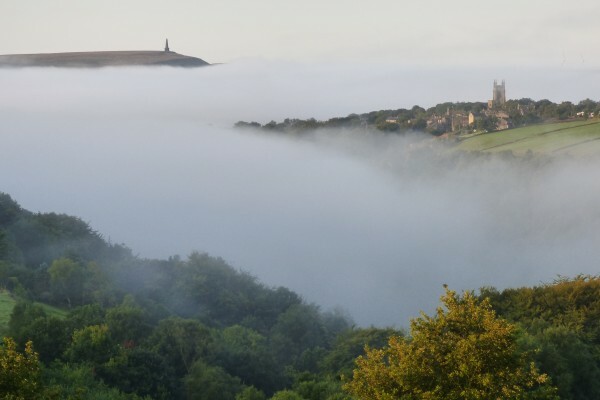 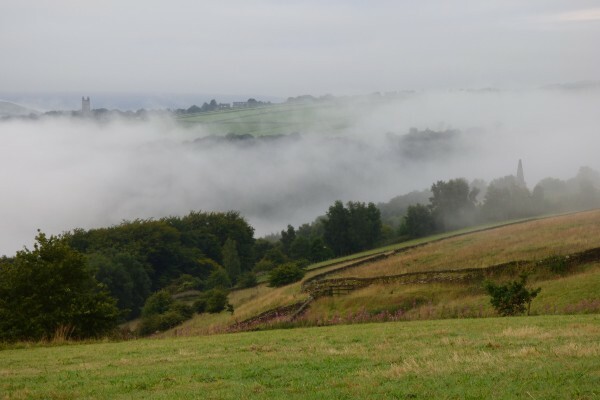 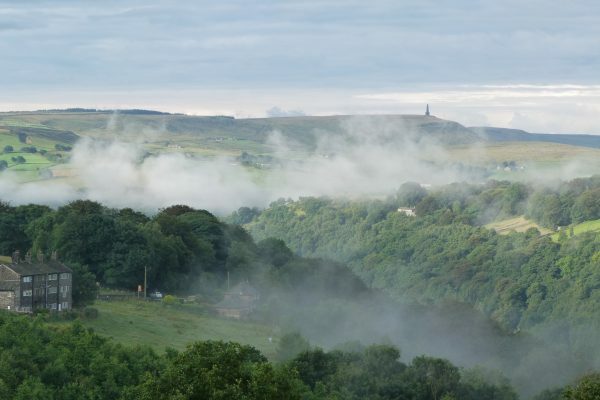 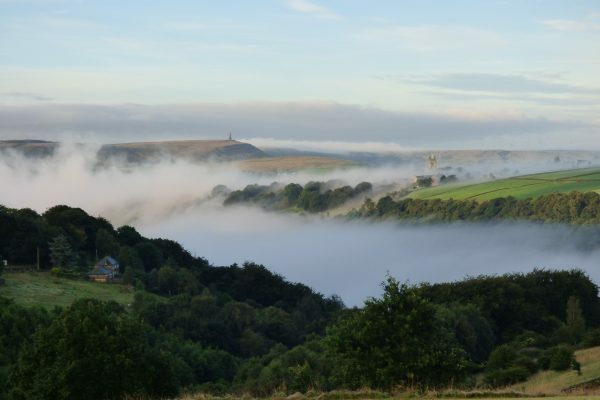 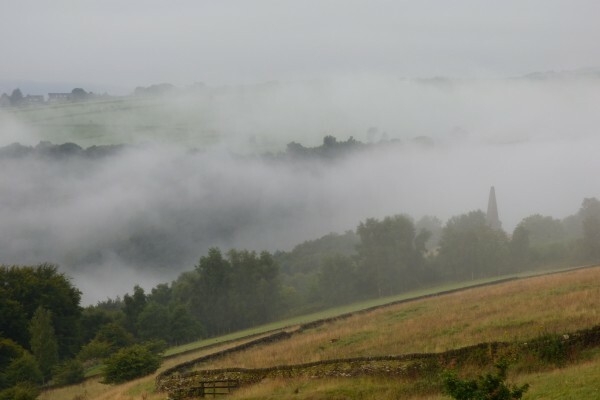 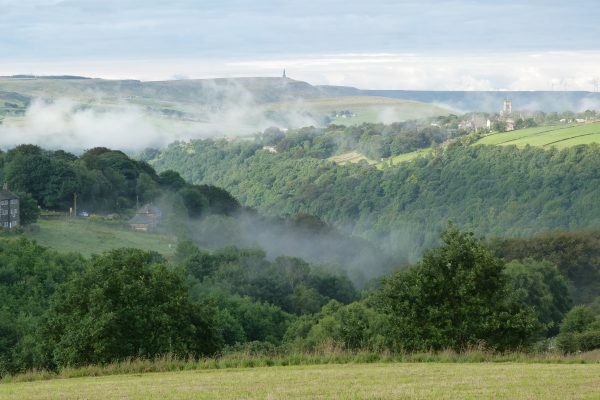 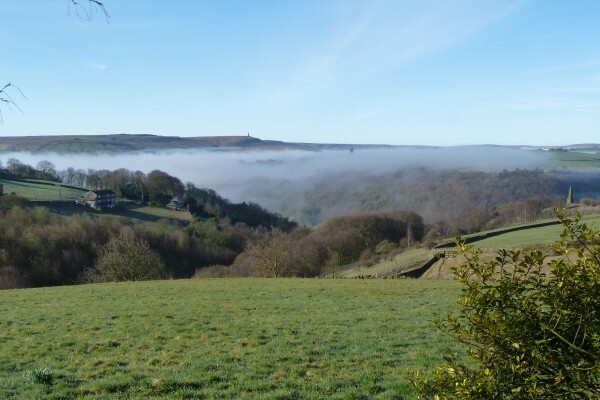 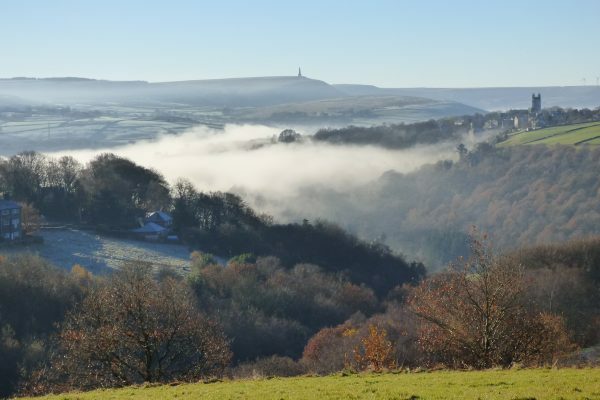 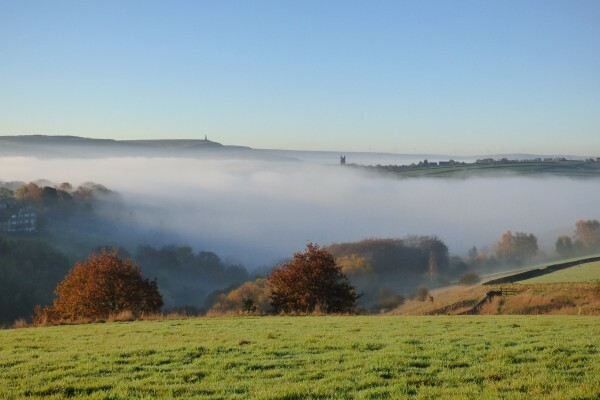 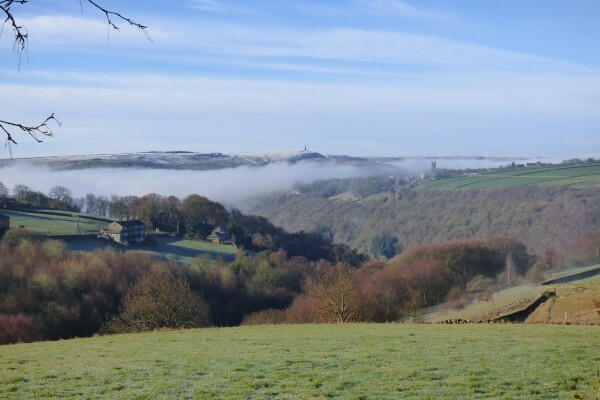 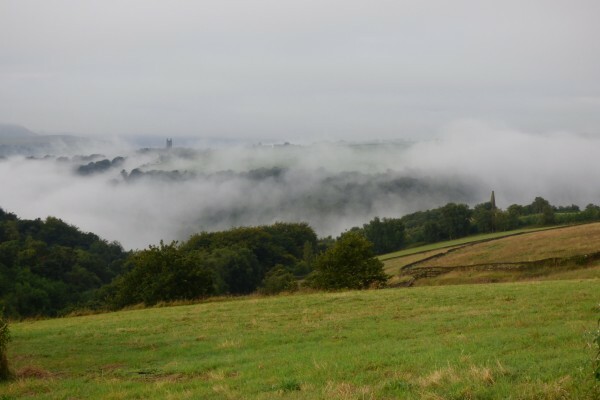 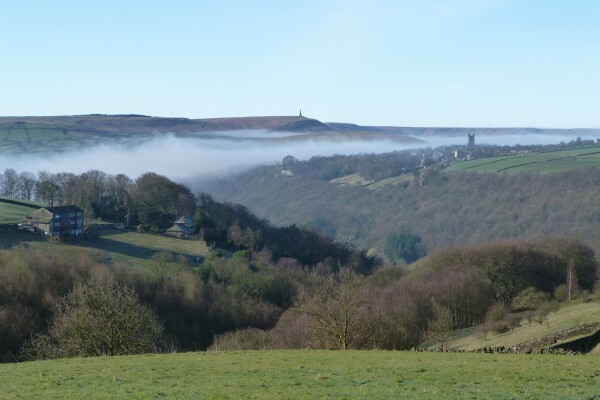 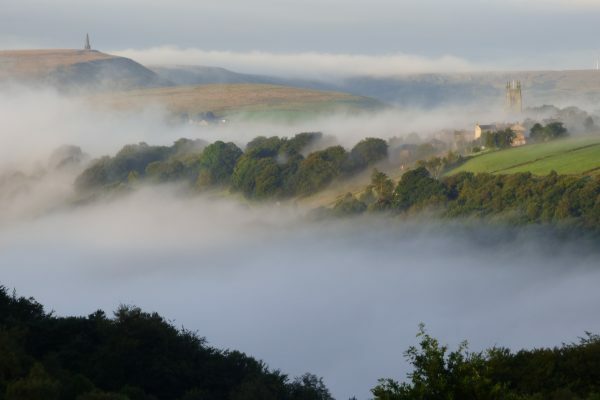 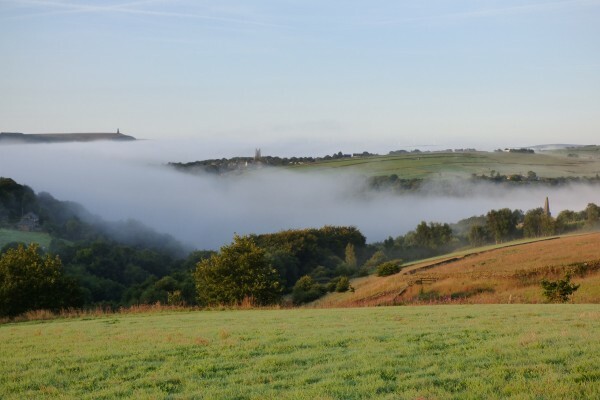 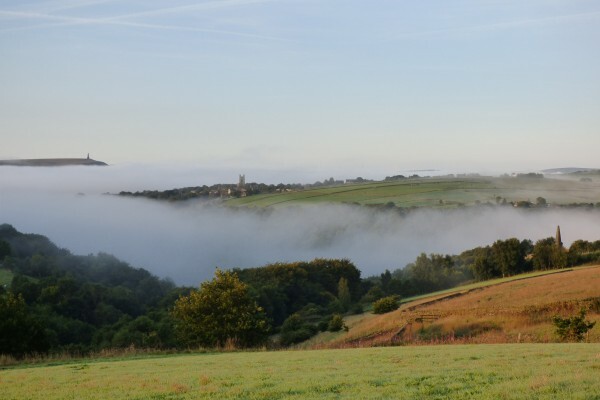 If you’re lucky you might see the famous River of Mist during your stay at Elmet Farmhouse, a remarkable phenomenon unique to this area. 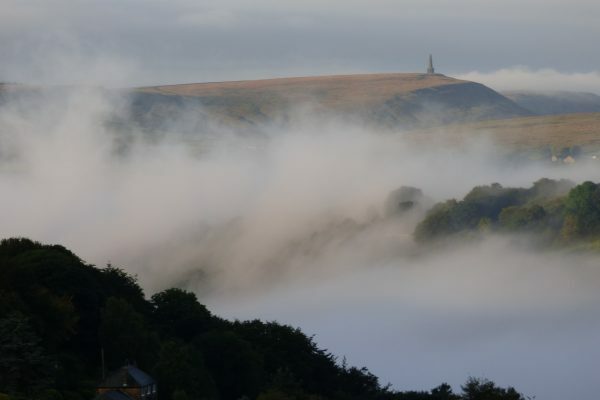 Usually it forms early in the morning as the sun rises and fog starts to lift, but sometimes it appears later in the day after heavy rain. 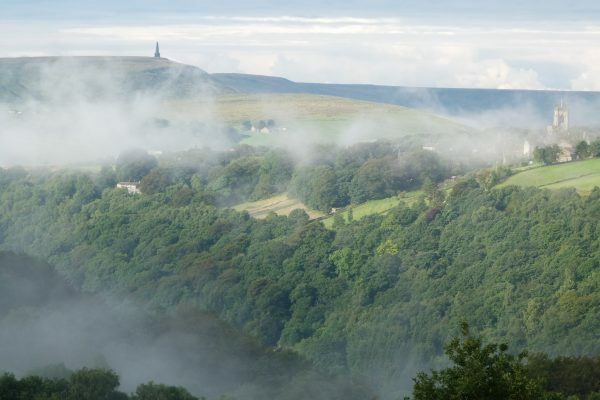 Moisture is trapped in the steep-sided wooded valleys. 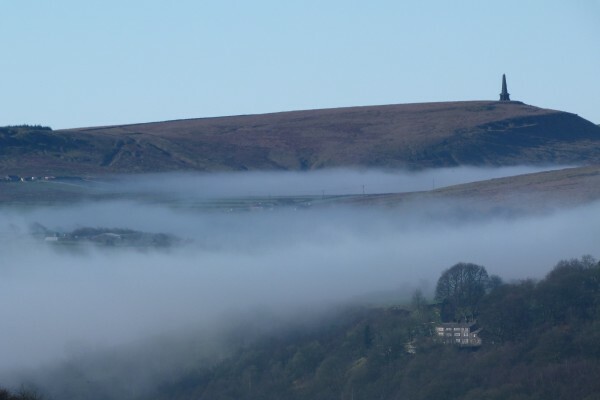 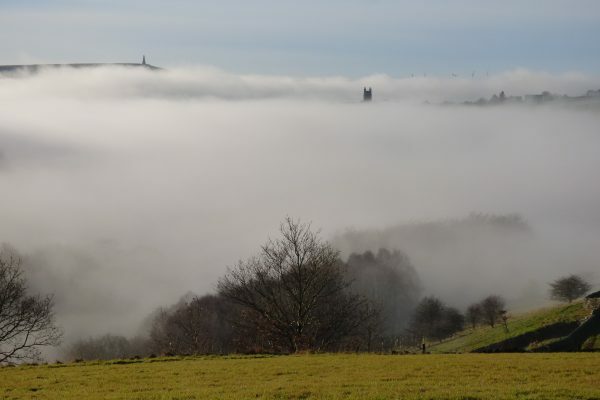 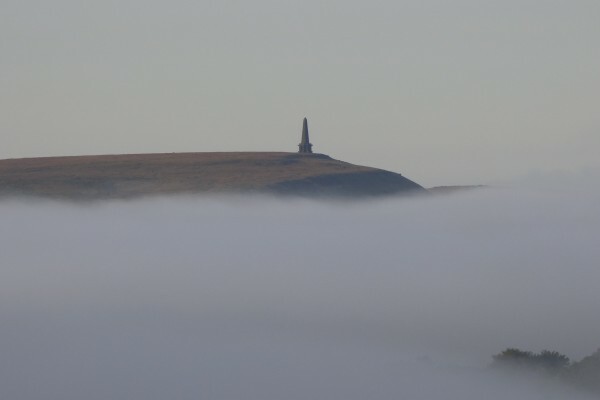 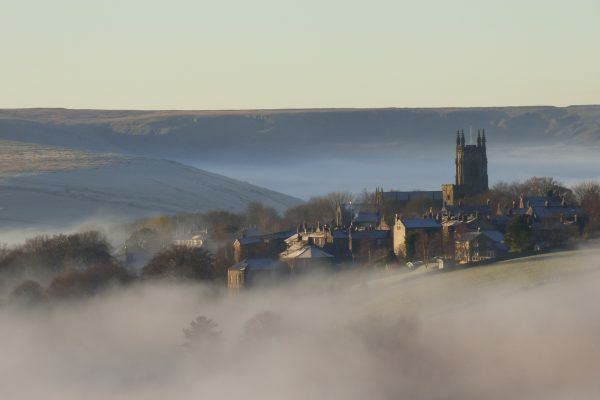 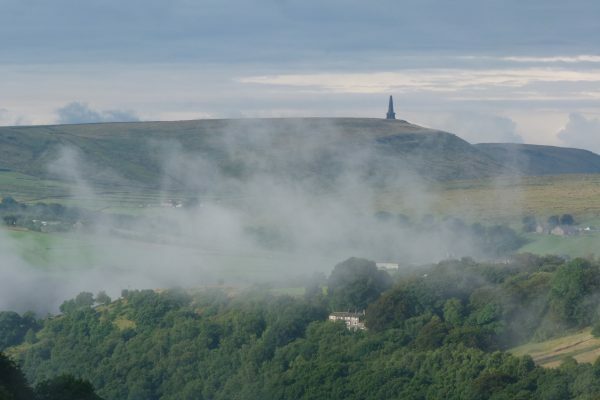 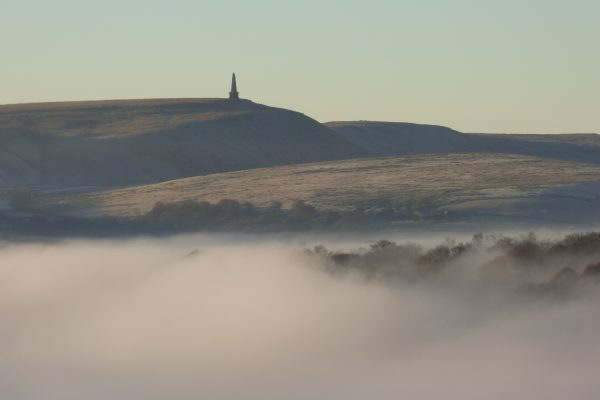 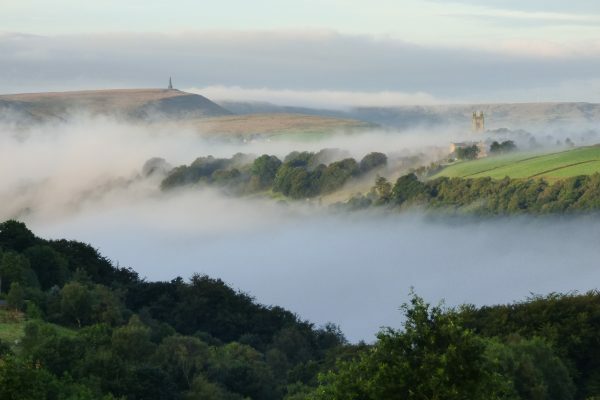 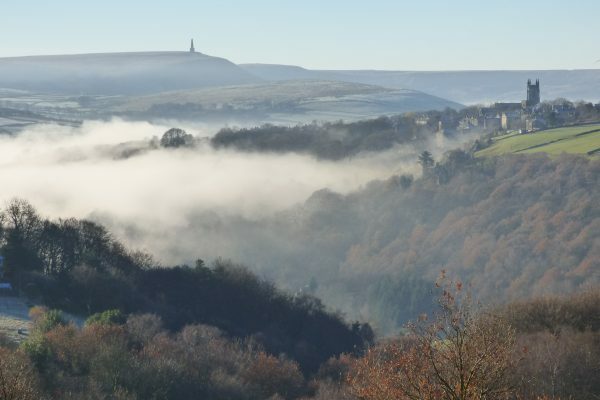 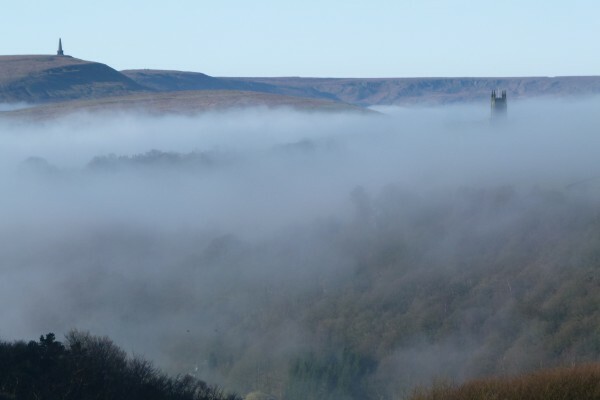 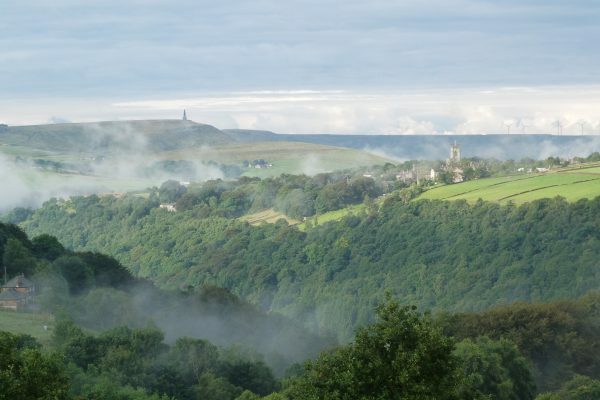 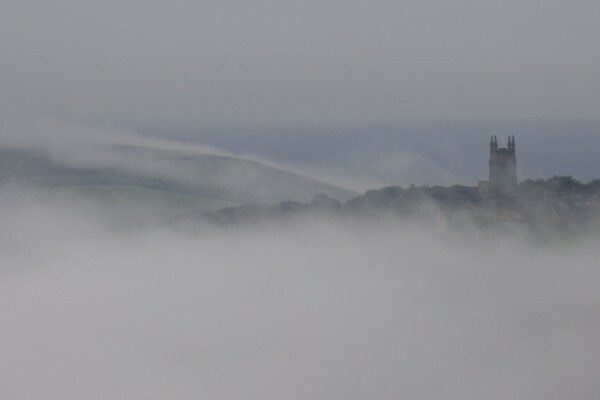 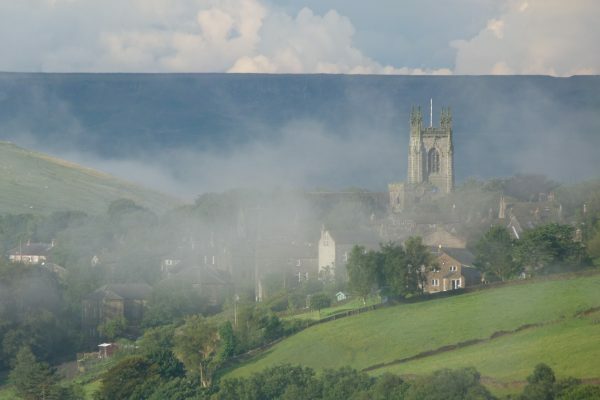 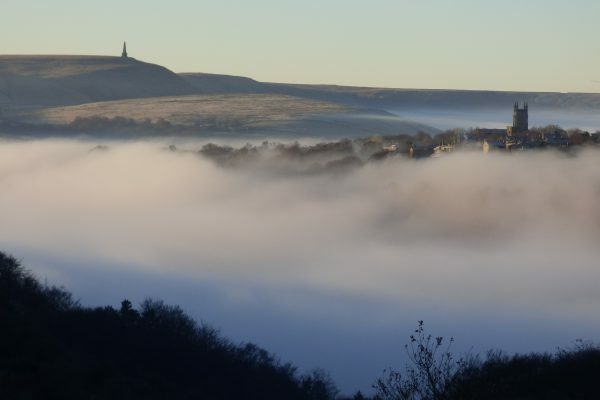 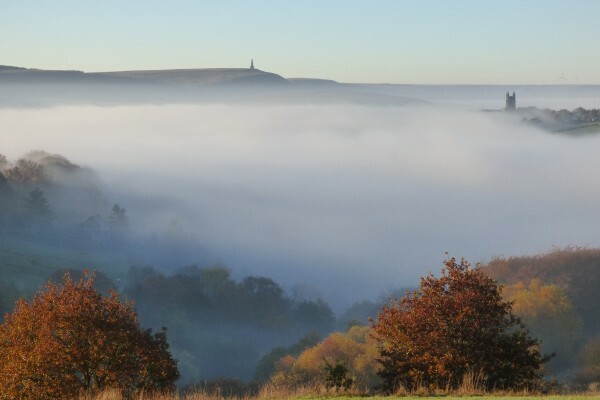 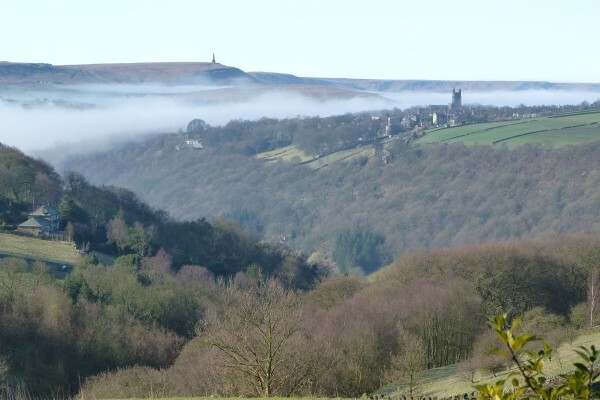 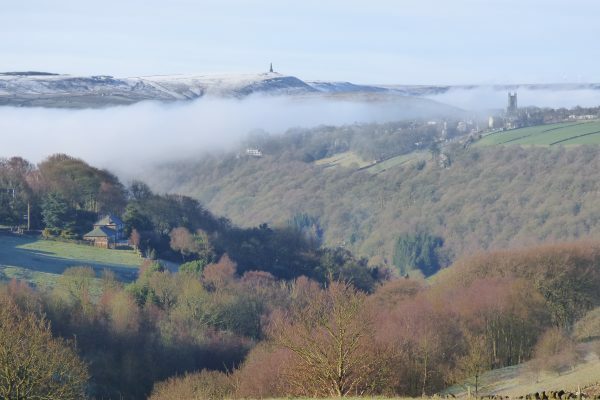 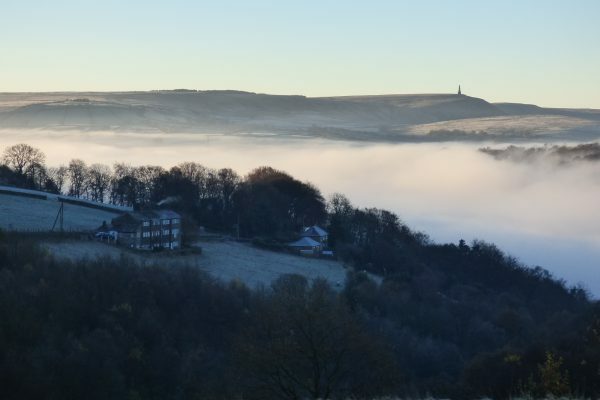 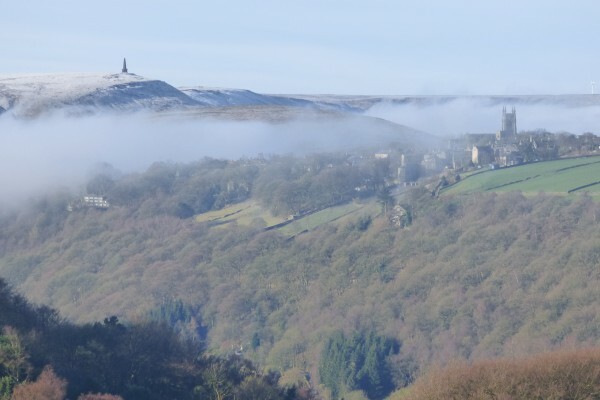 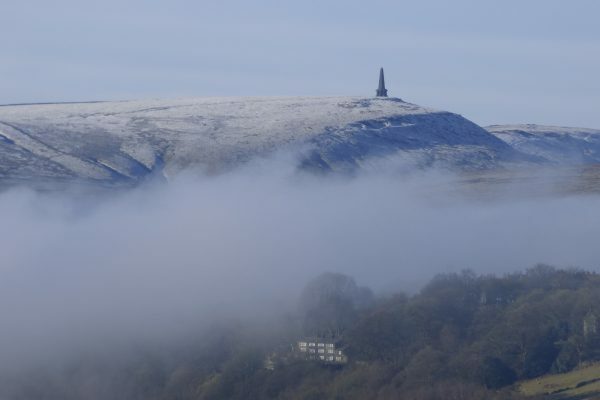 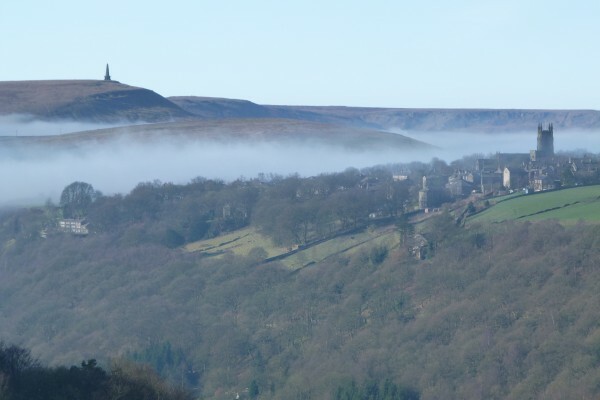 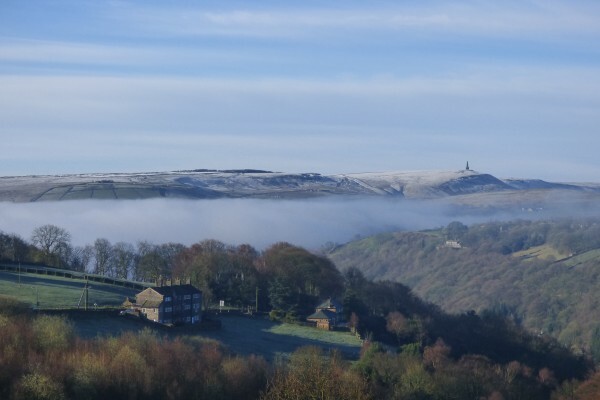 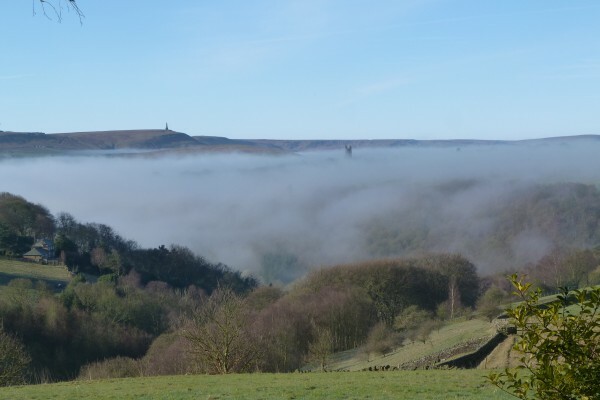 Swathes of mist swirl around clinging to the hills, with Stoodley Pike and Heptonstall church peeping through on the tops. 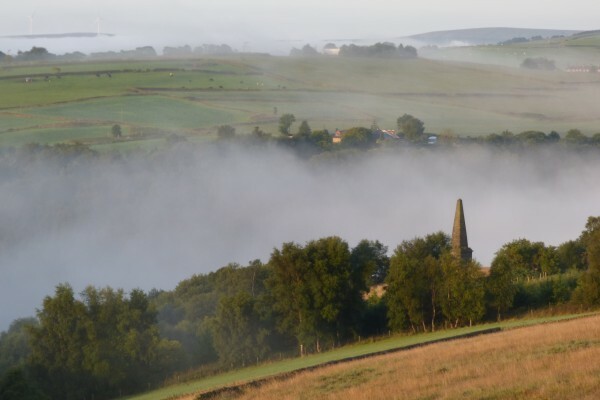 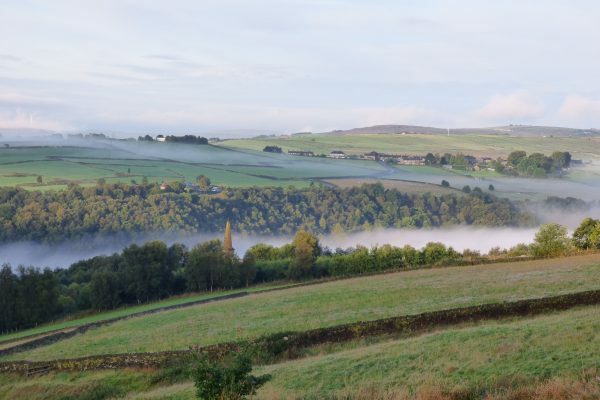 There is nothing quite like the magical River of Mist – and Elmet Farmhouse gives you a bird’s eye view.